Google+ is growing like crazy. In fact, it is the fastest growing social network ever. Just as with any other social network, marketers have a lot to learn and do. Use it to learn how to leverage Google+ for both business and personal uses. Sparks – the magazine of Google+, which bring together information on a topic for easy viewing. Enter a keyword, and see public Google+ posts on that topic. +1 Button – the equivalent of the Facebook Like button for Google+ and Google Search. A user can +1 an item shared on Google+ as well as a search engine result link returned by a Google search. Should Facebook be worried about Google+? 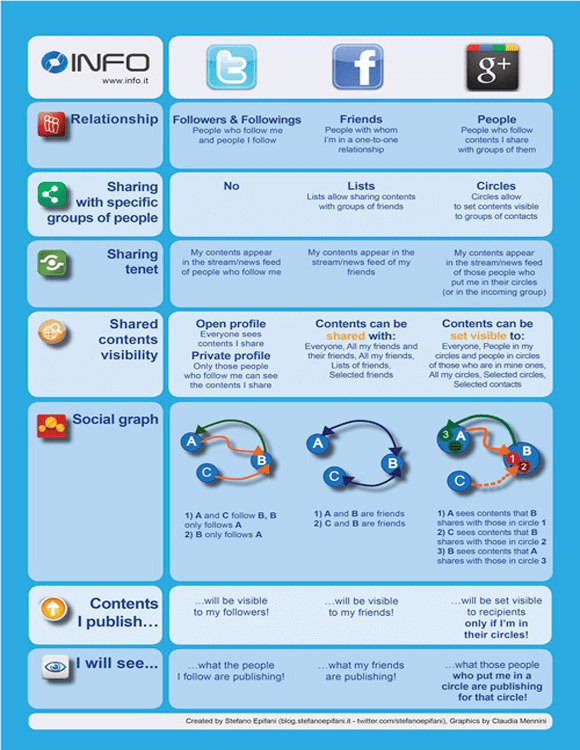 Take a look at this awesome infographic and see for yourself. Ever wonder who is actually using Google+? This infographic show that students are major early users, but it also shows many of the companies represented on Google+. Privacy matters, and it’s one of the biggest complaints about Facebook. Here is how to control your privacy on Google+. As a social network, how does Google+ stack up against Facebook and Twitter? What does Google want you to know about its new social networking platform? Many things, but some of the most important things are included in the following short videos. 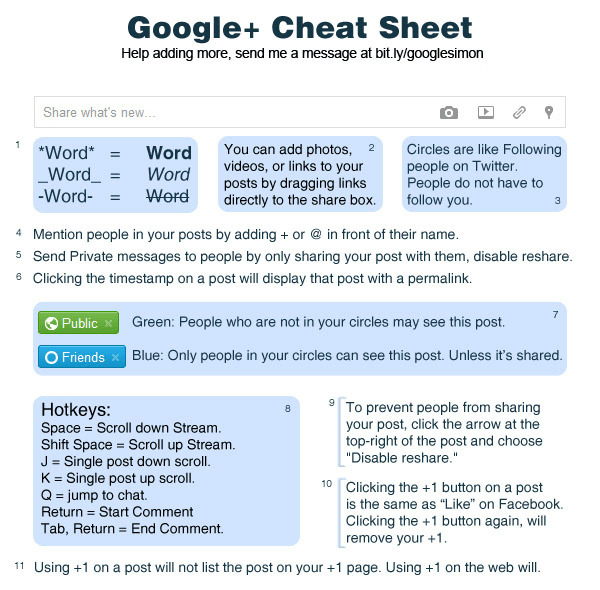 Give them a look if you want a better understanding of Google+’s features.